JPA Grads Not Offered Placements—Now Face Close To RM1 Mil Penalty For "Refusal To Work With Gov"
JPA scholars are bonded to serve in positions determined by the government for a period of time. After registering online, the normal process is that they’ll be assigned to those jobs. However, what happens if you’re not even assigned a position, then get penalised on top of that? 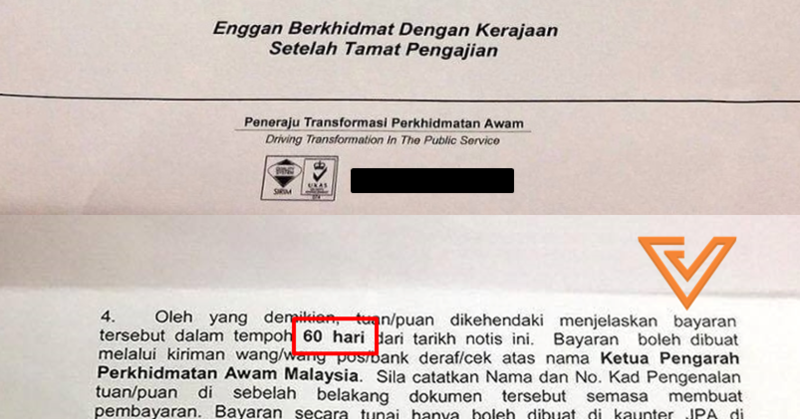 That’s what some JPA scholars faced when they received letters from the Jabatan Perkhidmatan Awam out of the blue. 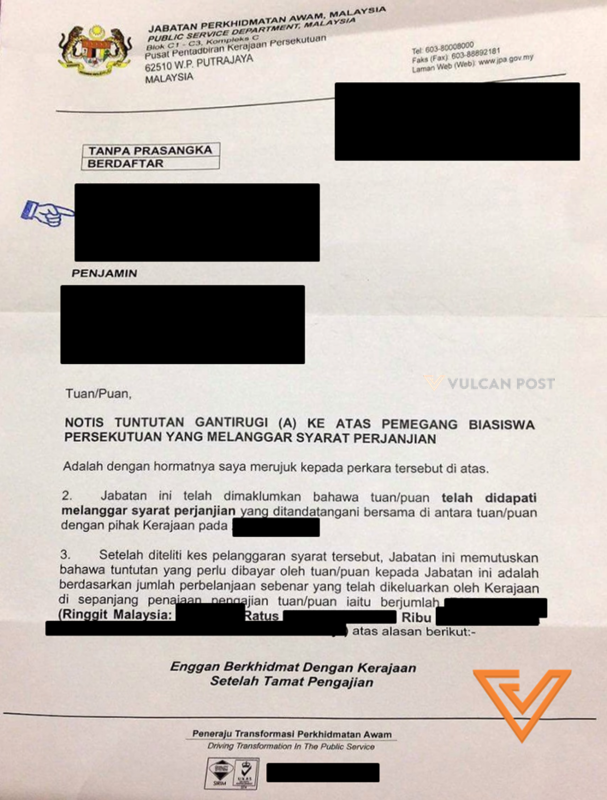 In those letters (an example of one is below), they were told that they had “Refused To Serve With The Government After Finishing Their Studies“. For that “refusal”, they have to pay back an amount of almost RM1 million each within 60 days. Page 1 of the letter. The amounts to be paid back differed from person to person, but all were above RM900k. Page 2 of the letter. The scholars hit by the sudden letters were medical students who had completed their studies overseas. We don’t know how many are in this same situation, but we’ve spoken to some who have been affected. All filled up the necessary paperwork, and also registered with the Suruhanjaya Perkhidmatan Awam. They provided us with screenshots—some of which we’ve included below—to prove that they’d gone through those steps. None of them have any outstanding payments owed to JPA either. 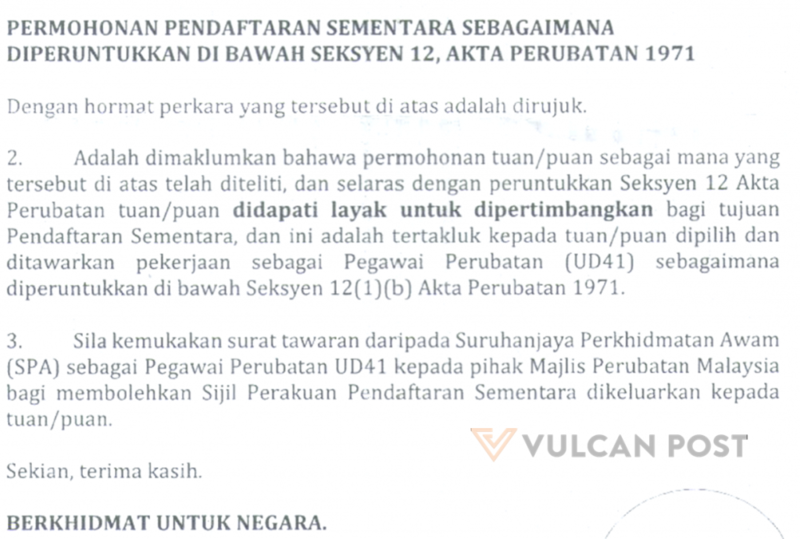 Screenshot of a letter from the Malaysian Medical Council (MMC), confirming that the graduates were eligible to apply, under the condition that they were offered jobs as housemen. Screenshot of the online confirmation from SPA after applying. They’ve also had to send these screenshots to JPA after applying. After the application process was completed, none of them were offered positions. Thus, being penalised when they hadn’t even received any postings has come as a shock. After all, they had done what was needed, and were waiting to be posted. So what are the graduates going to do? 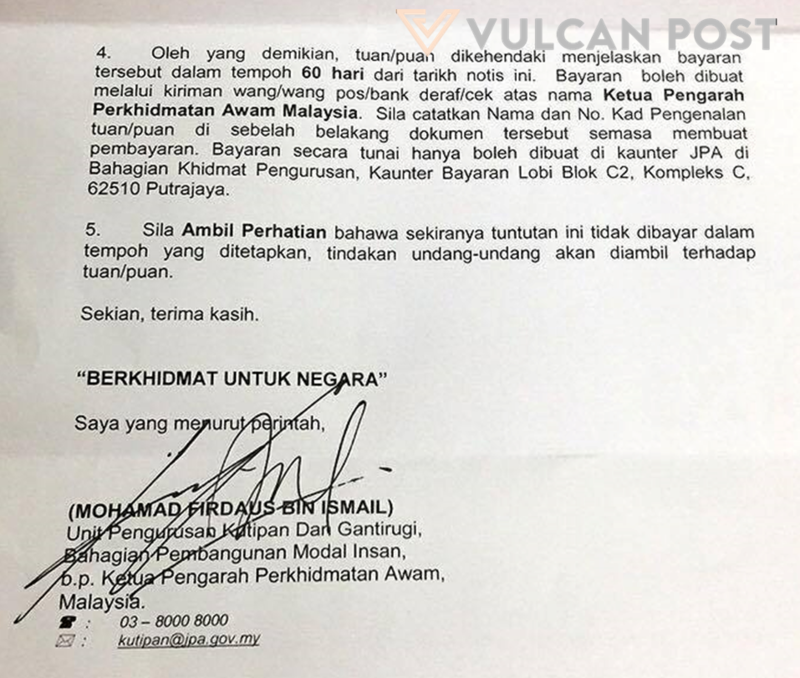 Faced with the prospect of having to produce a large sum of money in a very limited time, some have attempted to contact JPA for clarification. How or why did this happen? We can’t say for sure, but we did ask a Malaysian doctor who graduated back in 2011 what could be going on. Based on a series of slides recently released by the Penang Institute, what is happening right now is that training hospitals cannot cope with the rising demand for housemanship positions. Due to factors such as too many recognised medical programmes popping up, lowering standards of entry into courses and having too many housemen extend their training time, there just isn’t a capacity to accommodate more housemen. It’s possible that this caused the delay of assigned postings. However, it doesn’t explain why the JPA scholars were suddenly sent letters demanding that they make payments. It could just be a case of one arm of the government not being in sync with the other. So this might just be a bureaucratic error that they have to straighten out. We’ll be following the progress of this group of JPA scholars, and will update this article once we have more news. Have you heard of any JPA scholars in similar circumstances? Do let us know at editors@vulcanpost.com.